As far as I can remember New Zealand had always been on my "bucket list", though it wasn't after watching the first Lord of the Rings movie back in 2001 that I knew for sure I really wanted to visit. In fact, six months before the release of the second installment (The Two Towers) I had a flight booked to “Middle Earth”. Ever since my first trip back in 2002, I have been to New Zealand four more times…my most recent trip being in August of this year. New Zealand may look small but it boasts sightseeing opportunities by the bucket loads! Besides being a walker's paradise, New Zealand offer many great things for tourists to see such as wildlife parks, museums, historic sites, vineyards, botanic gardens, etc. New Zealand is home to several magnificent botanic gardens though, in my opinion, none of them come close to Wellington Botanic Garden. The botanical garden in Wellington isn't only beautiful but it boasts a spectacular location atop the hills of Wellington. 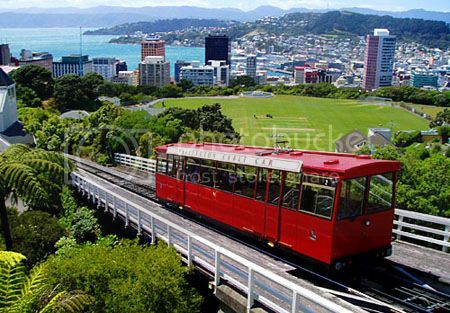 From the top of Wellington botanic garden you get splendid views over the city and the ride up on the Wellington cable car makes seeing this place totally worth your time. If the tram wasn’t incentive enough, entry to the Wellington Botanic Garden is free of charge! 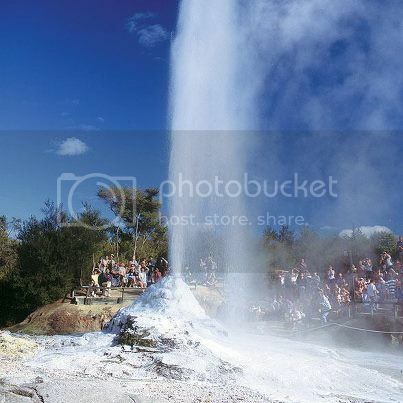 Thermal Wonderland truly lives up to its name and it’s without question, the most spectacular natural attraction in New Zealand’s North Island. Thermal Wonderland boasts massive volcanic craters, a geyser (nicknamed Lady Knox), colorful hot springs and mud pools, all of which are surrounded by truly spectacular scenery. There are also several walking trails at Wonderland that allows for nice walks and plenty of photo opportunities. Admission to Thermal Wonderland is around $30 (not cheap) but definitely worth every penny to see Lady Knox shoot up! If you’d rather not pay up you can still see the boiling mud pools for free by walking up the road on the Waiotapu Loop Road. 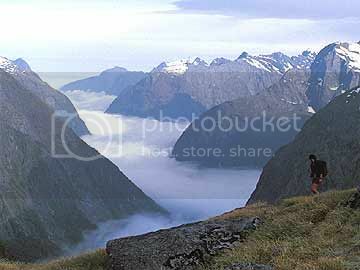 The Milford Sound is another famous natural attraction in New Zealand you cannot miss seeing. 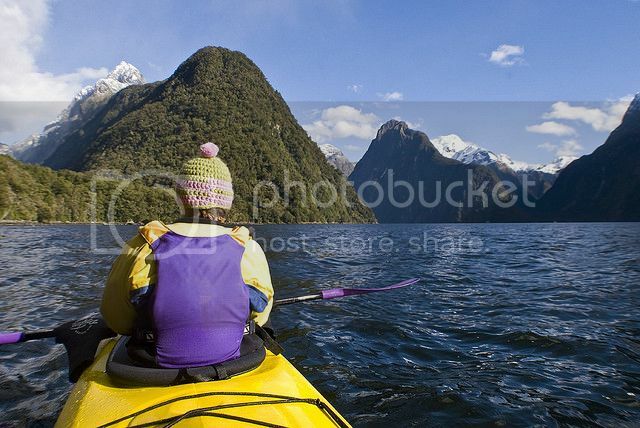 The Milford Sound is most certainly one of the top places to visit in New Zealand and seeing it up-close on a kayak or cruise is certainly one of the highlights of a trip to the NZ' west coast. Mind you though, getting to Milford Sound is also part of the fun and you’ll get to see a ton of beautiful natural sights along the way. Package tours (bus + cruise) from Te Anau and Queenstown are a popular option but if you hire a car you avoid the crowds and save up quite a bit. Be sure, though, to book the Milford Sound cruise or guided kayaking trip in advance if traveling during the New Zealand summer. Huka Falls is yet another beautiful and eye-catching natural wonder to add to the list of top 10 sights to see in New Zealand. 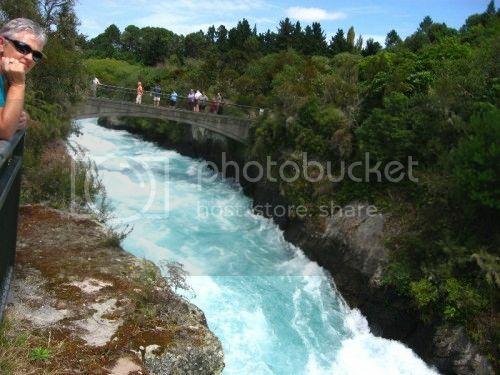 Huka Falls may not be the biggest falls in the world but it’s totally worth seeing because of the ferocity and mesmerizing turquoise-blue color of its waters. You can stand over the bridge that crosses the falls or walk up to one of the viewing decks to take photos and feel the raw power of the rapids. For a more unforgettable experience, you can ride a jet boat and get real close to the base of the Huka Falls. Waitomo Caves are located a few miles northwest of Te Kuiti (an hour’s drive from Hamilton) and they’re another tourist sight to add on this top 10 list of sights to see in New Zealand. Waitomo caves consist of several tourist caves opened to the public for glowworm tours and cave rafting activities. 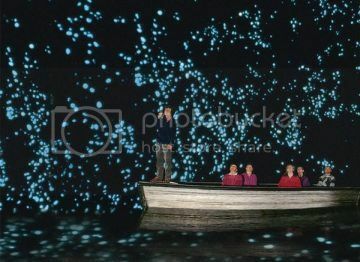 The main caves to visit in the area are Glowworm Cave, Ruakuri and Aranui, though the one to go to is Glowworm Cave to experience the boat ride in darkness. 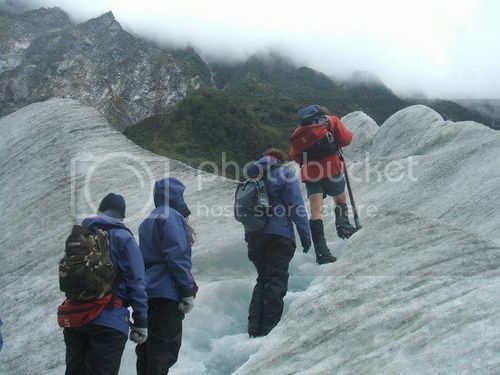 Franz Josef Glacier is, with good reason, one of the most visited tourist attractions in South Island. If you’ve never done glacier walks before you’ll find it a fascinating experience walking up through ice corridors and seeing icefalls up-close. The Franz Josef Glacier is located about 2 miles away from the township of Franz Josef, which is the base for organized trips onto the glacier. You can choose from half day hikes to full day heli-hikes, or book a helicopter tour to see the glacier from the comfort of a seat. My favorite option is to view the glacier for free by taking the 30 minute unguided walk from the car park area to the tongue of the glacier. Rangitoto Island is one of the most recognizable landmarks in Auckland and it's definitely one of the top 10 sights to see in New Zealand. Rangitoto Island is now an extinct volcanic island but it offers fabulous lava rock scenery and lovely vistas from its summit. The summit walk to the top of Rangitoto is pretty straight forward and takes just 60 minutes. 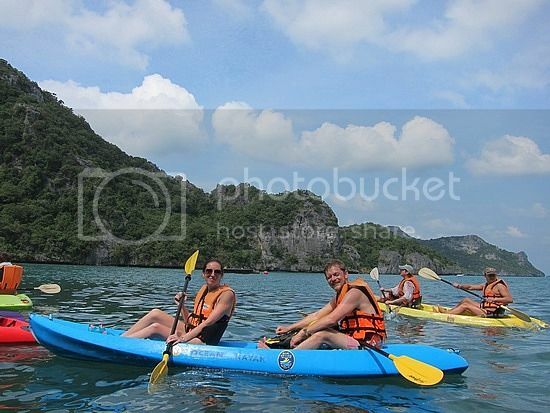 There are couples of ways to get to Rangitoto Island. One way is taking the ferry from Auckland, and the other (recommended) is to kayak across to Rangitoto Island on a half-day tour from Takapuna. 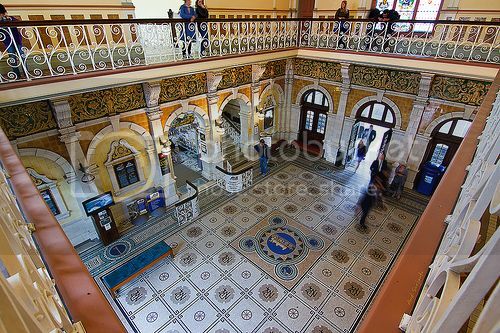 Dunedin’s historic railway station is without question, one of the most beautiful buildings you’ll photograph in New Zealand. This historic railway station is the finest examples of Edwardian architecture in the country and it has truly stood the test of time. The restoration work has been immaculately done and has preserved the beautiful stained-glass windows, mosaic floor tiles and light fixtures. Best thing about visiting Dunedin railway station is that it’s still functional. The Taieri scenic train departs from the old railway station all through the year and the ride is totally worth it to experience traveling along the spectacular Taieri River Gorge.